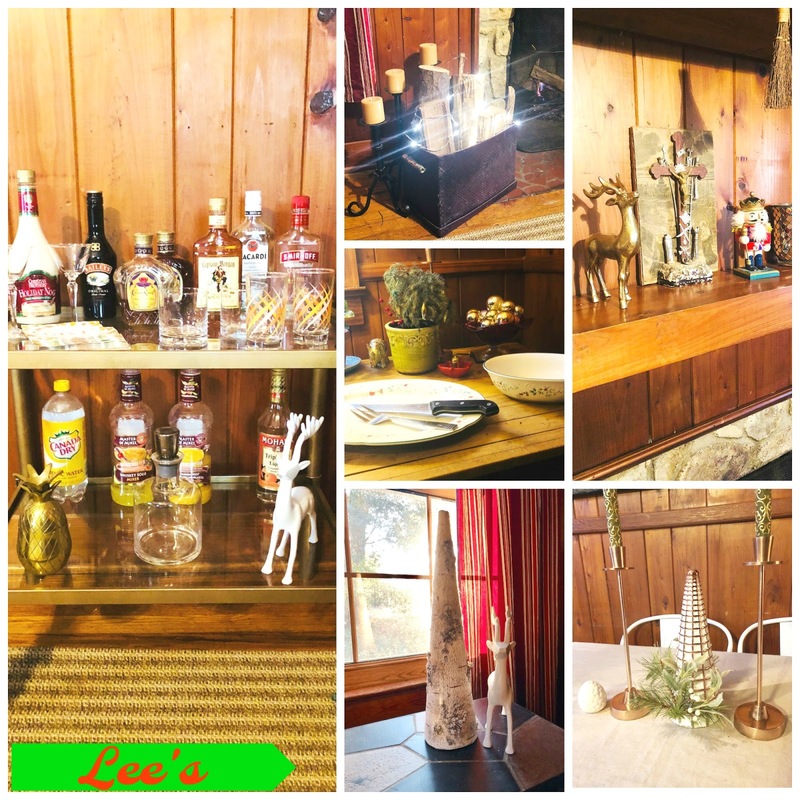 Thursday Moda #92: The Holiday Series, Holiday Home Tour 2017, part 1. Hi and Happy Thursday! Today I am doing one of my most favorite posts of the year and definitely my favorite of December which is the Holiday Home Tour. 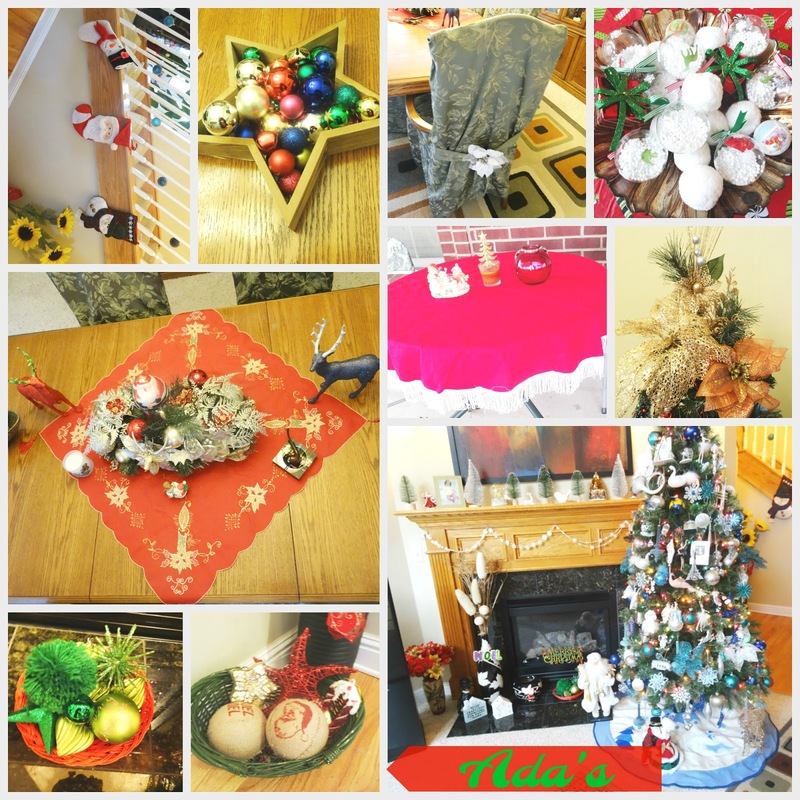 I love doing my Christmas Home Tour every year, as I mentioned a few days ago. I go all out for Christmas you guys and never before like this year has my house seen more sparkle, holiday decor and ornaments as it has this year. 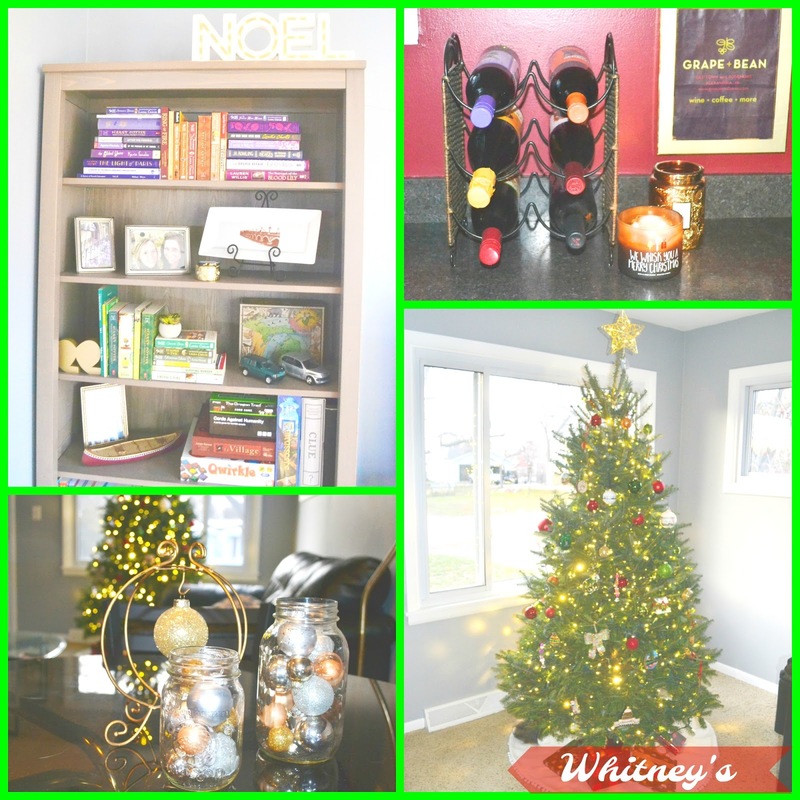 That is why I am separating my Holiday/Christmas Home Tour into 3 posts. We have a big home and almost every area of the house and every room and bathroom has a little bit of Christmas spirit in it. Today I am sharing the hub of our home and the place which is totally glammed up for Christmas: the Living Room. And I am also sharing the Formal Dining Room and the Downstairs Hallway. 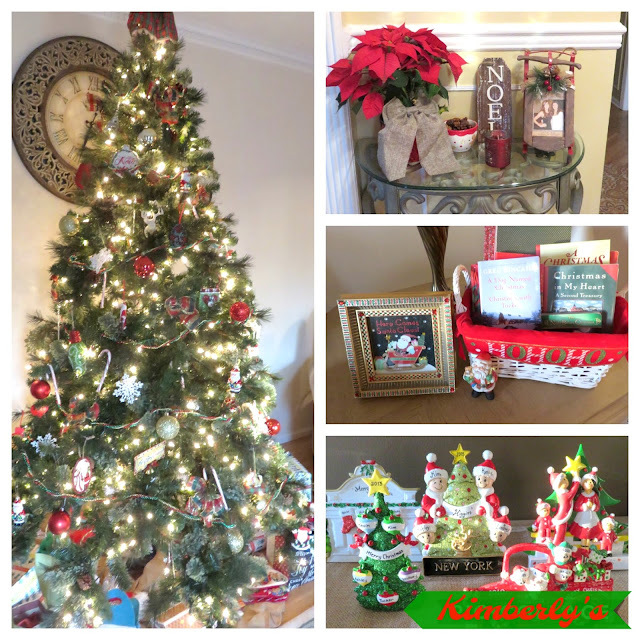 This Christmas Home Tour is a blog hop. I am doing a collaboration today with some of my blogging friends as part of "The Holiday Series" we are all contributing to, this year. So make sure you see the other ladies' Christmas homes today. WARNING: There are a ton of photos in today's post. Sorry but I snapped so many pictures. 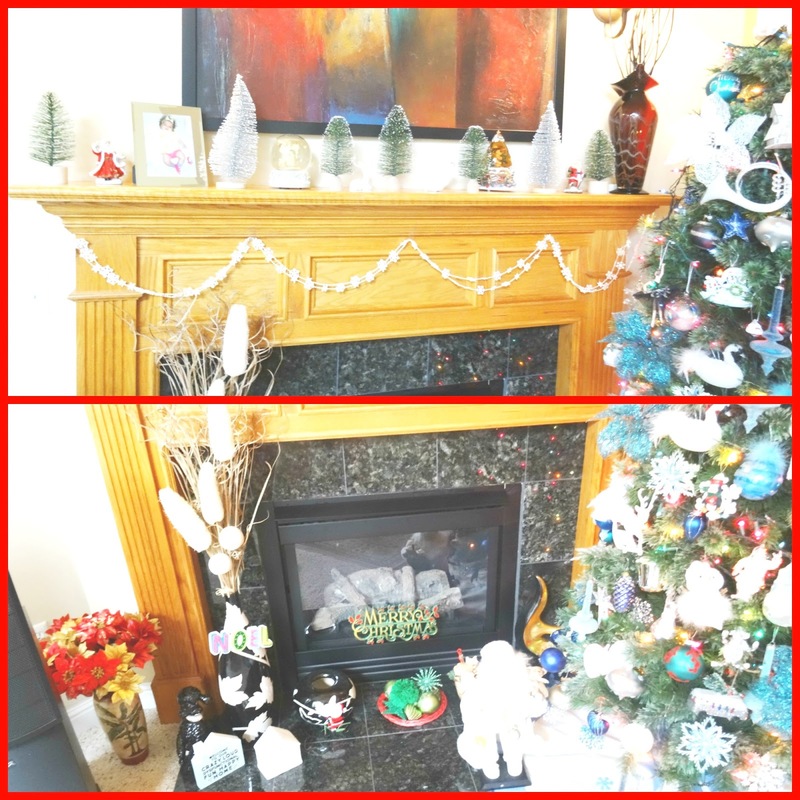 The mantle is decorated from top to bottom and there is decorations and ornaments on the coffee table, on the side table, on the entertainment area and of course the decorative pillows on the sofa and on the armchair. Of course our main Christmas tree which is 7 and a half feet tall is off the side of the fireplace and it faces us in the living room. The main Christmas tree off the side of the fireplace is a flocked tree we purchased last year and it is decorated completely different than last year. This year I did a white+blue tree and even matched the colors of the tree to the colors of that pretty, embroidered snow and skiers tree skirt. The ornaments on the tree are white, silver, royal blue, turquoise, navy and teal. I decided to go for colorful lights to bring some color to the tree. On the bottom I have my vintage Mr.+Mrs. Klaus, the Cream+Gold Velvet Santa and the Gold Metallic Reindeer. Every year I buy a few new ornaments to add to the tree. The little feather white swans, the silver decorated buses which carry christmas trees on top, as well as the white and black ballerina ornaments are new and were purchased at Wal Mart. They are gorgeous and very well made for the price. The noel silver beaded sign (on top of the tree), the white+silver snow house towards the top and the glass Merry Christmas snow globe are also new from Target. Every year I buy and add a few ornaments for Vivian too. 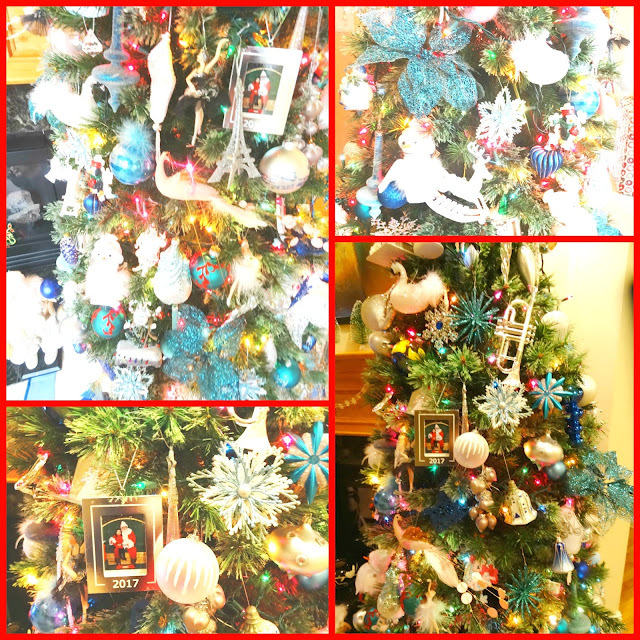 In this tree I added her personalized ornament from last year and her personalized ornament from 2015. Two of the ornaments I purchased for Vivian this year were the silver frame with her Santa photo from this year and the gorgeous light pink with gold+silver light feather peacock, which I added to our main tree this year. Also the angel tree topper is brand-new. All the brush trees I have added to the living room this year are new. I purchased most of them at Target (the green ones and the pink ombre ones) while the silver frosted ones which are also my favorite were purchased at Meijer. The green and silver brush or bristle trees are placed on top of the mantle with a variety of little porcelain decorations around them and two snowglobes I have had for years. I really wanted a "Merry Christmas" sign this year but I settled for the little white sparkly snowflake garland around the mantle. And on the bottom of the fireplace you see the black+white porcelain trio of the 2 vases and the little dog, a little red wicker basket with green ornaments, two little houses, a bicycle-riding little Santa and a "Merry Christmas" green sign. The two houses here are from Target. The welcome sign is awesome and totally depicts our home and family at most times. OK, we are not really dysfunctional - at least not in the first meaning of this word - but we are indeed crazy, loud, talkative and happy. Like most Albanian families I'd say. Reindeer and birds symbolize Winter. Love these porcelain animals from Target. This little red wicker basket has a variety of green ornaments: stars, balls, hearts and even a fuzzy ball on top. I love that it has the two colors of Christmas and all the different shades of green from lime to Kelly green. It came out so cute. THE REST OF THE LIVING ROOM. All the square red festive pillows were purchased last year at Wal Mart. The little rectangle 'Joy' pillow on the circle-patterned armchair is current from Target (5 bucks!!). And please don't mind the red candy cane vinyl table cloth but that coffee table is glass and we have a toddler at home. As you will see I have used a lot of candles as part of my decor too and more bristle trees. I love all the pink on this little side coffee table with the little white+red bird on the bottom and the mini velvet stockings on the very bottom on the floor. The bristle trees are from Target as I previously mentioned and the adorable glittery elephant is from Wal Mart this year. This glass area is the entertainment center. The beautiful glass and stain glass trays have candles and some mini ball ornaments on them. The little velvet pillows say 'Joy' (the gold one) and 'Noel' )the burgundy one). There are also a few snowmen and a beautiful red bird snow-globe. You will see throughout these Holiday Home Tour posts that I use a lot of ornaments and balls to fill different jars, glass bowls, porcelain bowls, dishes and trays with. Hands down my favorite of all of these ornament-filled bowls is this gorgeous rust gold tray. It came out looking so beautiful and unique. I filled it with clear balls that have snow and Christmas-shaped cut-outs inside, white cotton balls (the idea is they are snow balls) which were purchased this year at Target and two red+green present-shaped ornaments. This tray looks gorgeous and a few guests we have had over so far have loved this center-piece. 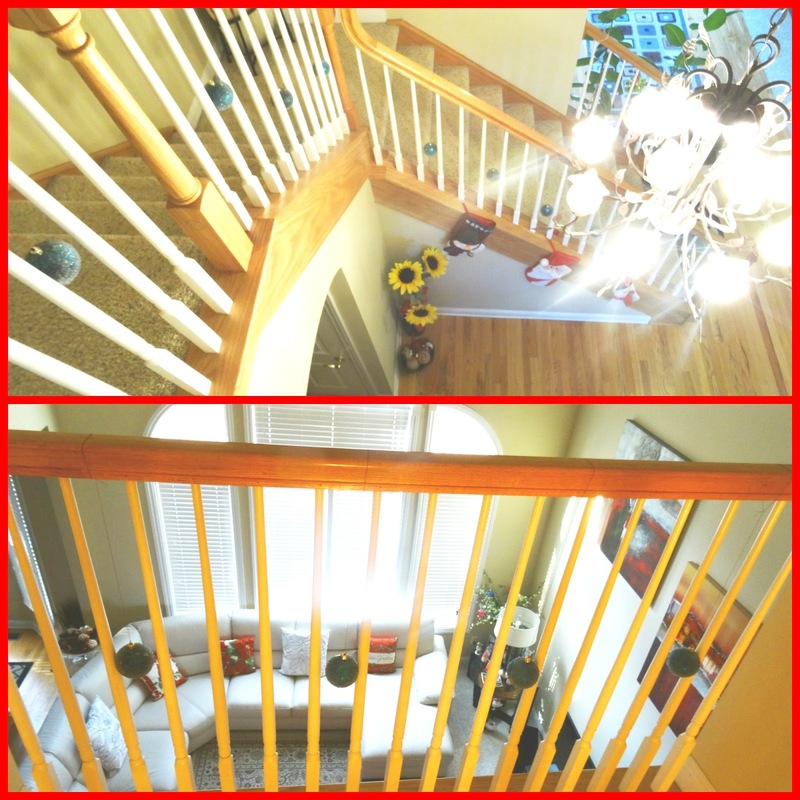 Last year I went classic with the stairs and added an evergreen garland throughout them and then I hung red+gold ornaments to the garland. This year I decided to hang these dark teal frosted balls throughout the stairs (upstairs too). I tried to eyeball them as far as having them be equally in length and of course they are not perfect but still look good. I love that I chose these blue frosted balls since our main tree is in blue+white also. A gorgeous red poinsettia wreath hangs by the top stairs and faces the outside door too, so guests can see it when they come in. 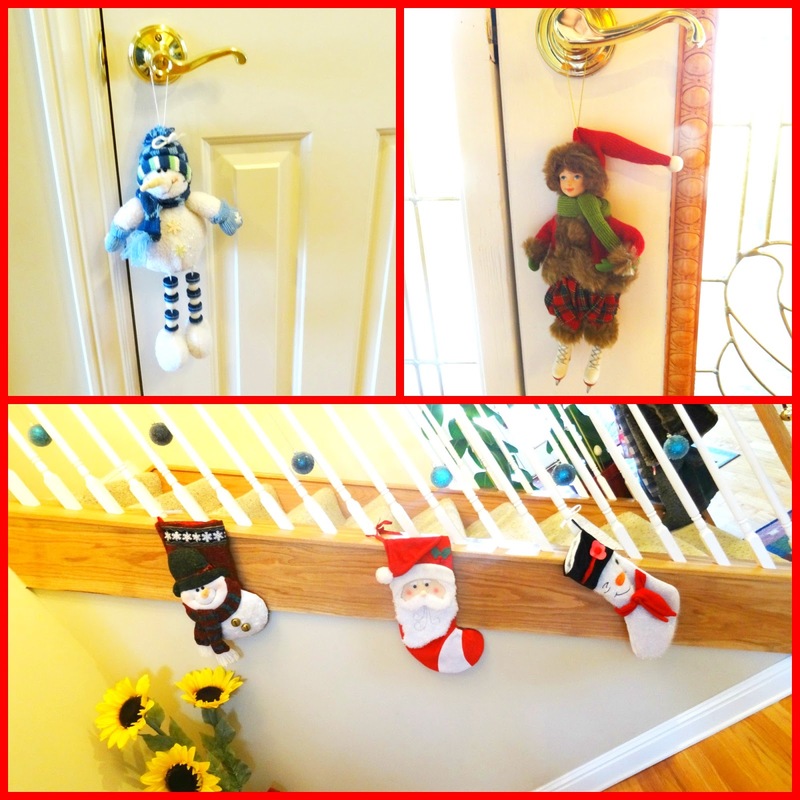 The snowman hangs from the coat door facing the stairs while the little ice-skater hangs from the main door that takes you outside (on the inside of the house). And for the third year in a row I decided to hang our stockings by the fireplace. The middle one with the Santa is Vivian's while the snowmen stockings are Vivian's parents. Our dining room is located as you enter our house, on the right side of the hallway that takes you into the rest of the house, so it is definitely an area for everyone to see first. That is why it is all fancied up and I even added our 6 feet green tree on one corner. I love all the decor on the table and that centerpiece is certainly beautiful as is the silk embroidered table runner - so festive. The chairs have poinsettia velvet+glitter flowers tucked inside their bows. The two chairs along one side have the red poinsettias, the other 2 across have the lavender poinsettias and each of the chairs on the head of the table and across have the white poinsettias. I have had all these different-colored poinsettias for a long time. The '12 Days of Christmas' Nutcrackers I have had for over a decade and I have purchased the at Lord and Taylor while the Merry Christmas box with the mini trees is from Target from this year. THE DINING ROOM CHRISTMAS TREE. This mix+match tree is a collaboration of Vivian and I and there is no theme at all to this. 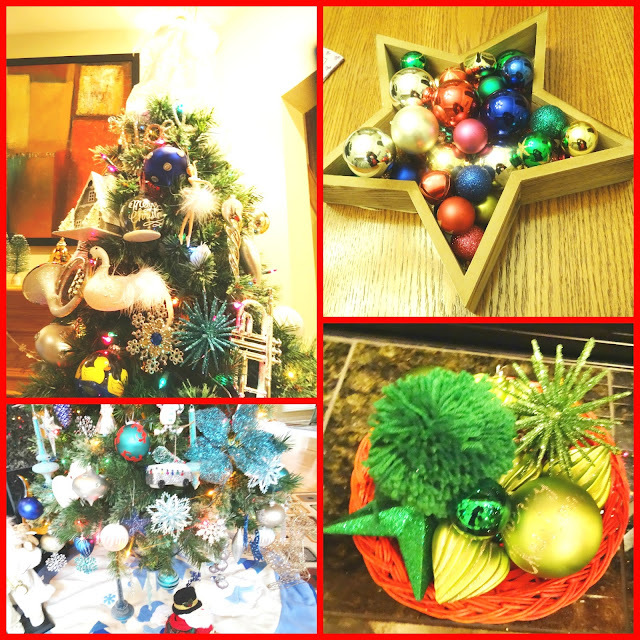 It has any type of ornament you can think of: glass, plastic, felt. 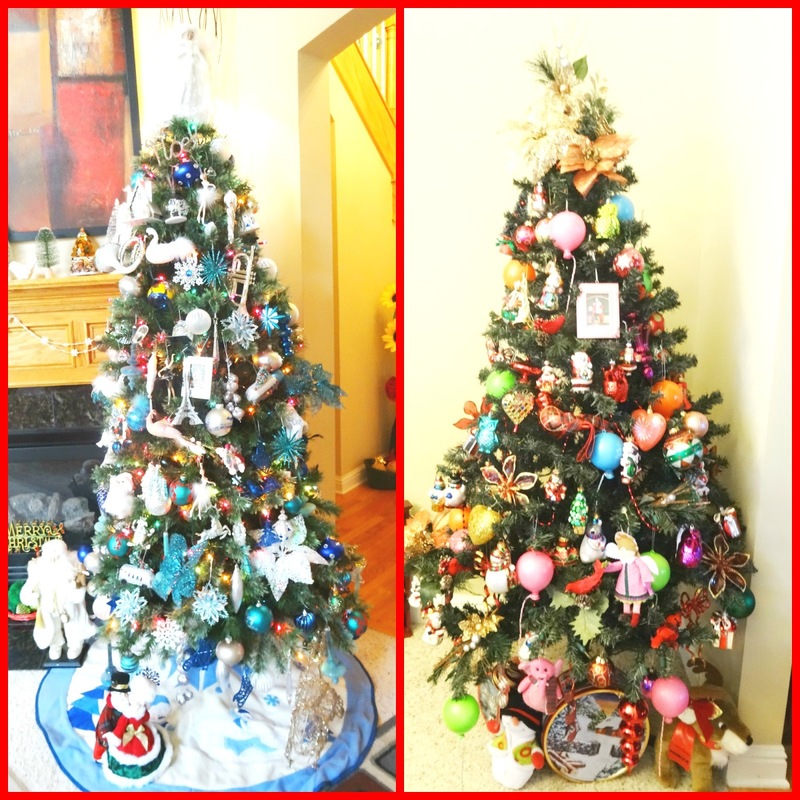 Snowmen, santas, stockings, flowers, angels, hearts, balloons, balls, teardrops, evergreen trees, owls, birds -- this tree has it all and every single color you can think of but you may notice it has many touches of bright pink too. Also the hot hair balloon ornament and the framed picture of Vivian are two new ornaments we purchased for Viv this year. I decided to top the tree with some glittery red and gold poinsettia flowers. I love that they make the tree a little classic and the poinsettias on top match the poinsettias tucked into the chairs. There is no skirt on the bottom of this tree but I added a couple of stuffed animals including Prancer The Reindeer and a couple of vintage-looking Tin boxes (which previously had held those infamous butter cookies I love so much, which I mentioned yesterday on my Q+A Holiday-themed post) on the bottom of the tree, instead. And here is a sneak peak of the other ladies' Christmas homes. 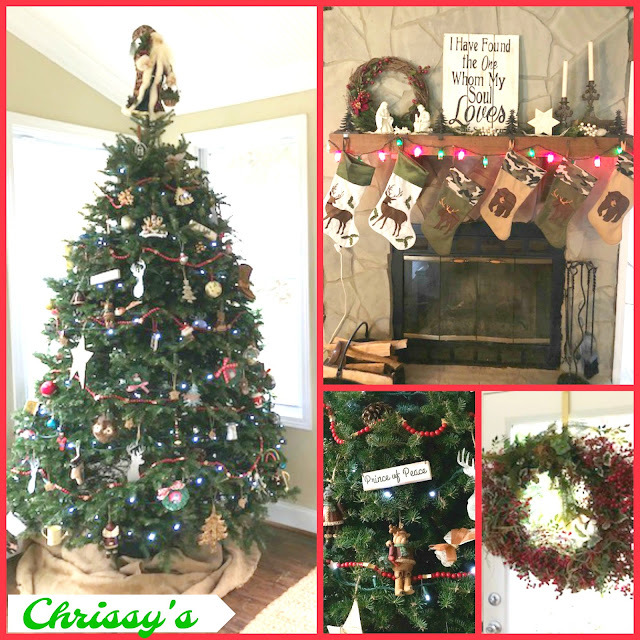 Chrissy's home has a cozy, classic Christmas vibe going. I love the wooden ornaments on her tree and the burlap skirt which match those cute wood ornaments. Her red cranberry wreath and the stockings are gorgeous too. Her mantle is absolutely gorgeous and I love that she chose just green+red lights for it. Also her reindeer stockings are adorable and so are the bear ones for her twin boys. The camo brings a country flair to her beautiful fireplace and the fresh-cut wood on the side - so cozy and warm. 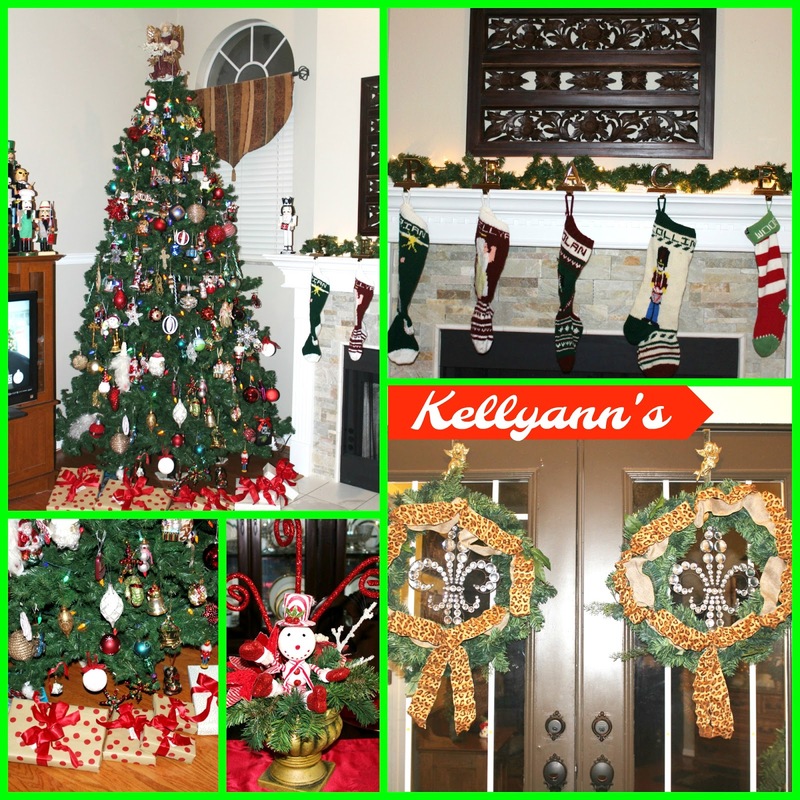 Kellyann did a classic Christmas tree as well as a classic mantle this year and I just adore the matching presents on the bottom with the beautiful-tied bows in the polka dot paper. Red bows equal Christmas elegance. The wreaths on her main doors (love that they have a leopard ribbon through them) and all those crest symbols I see everywhere in her decor are classy and royal. Her stockings are adorable too. 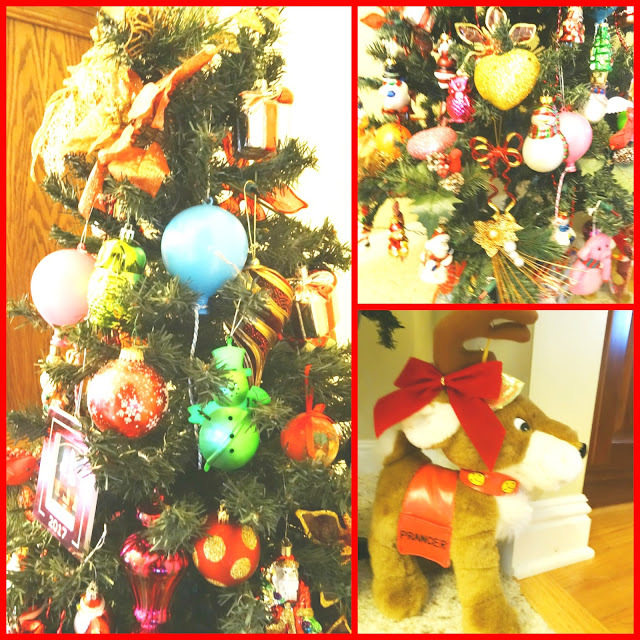 I believe Kim's tree is filled with many sentimental ornaments and it looks like a real tree. But OMG I just adore Kim's side tables and how she decorated them. The little basket holding the Christmas cards, the burlap bow poinsettia plant and especially those gorgeous tree-shaped decorations from her travels add something whimsical and very personal to her elegant decor. 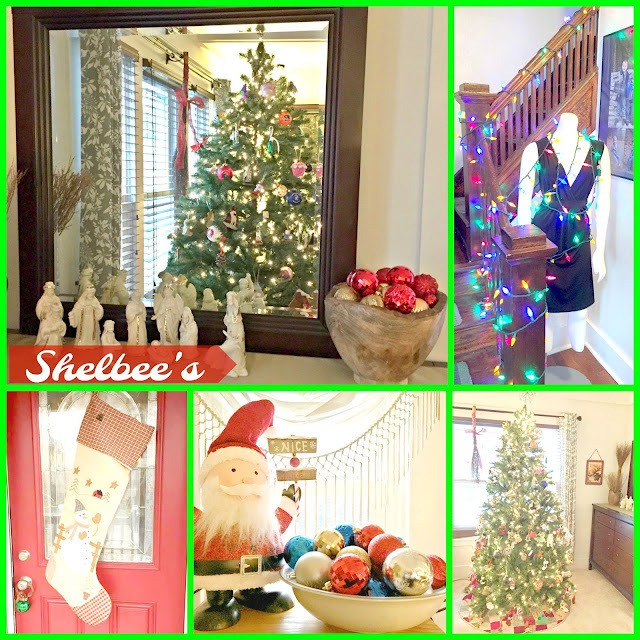 Lee shared her home tour a few days ago and she opted not to do a tree. But she has little trees, reindeer and little ornaments throughout her small but beautiful and cozy home. Her bar cart looks gorgeous and I love that almost all the bottles match in that gold shade. Adding some clear lights to the box holding wood is a nice touch too. 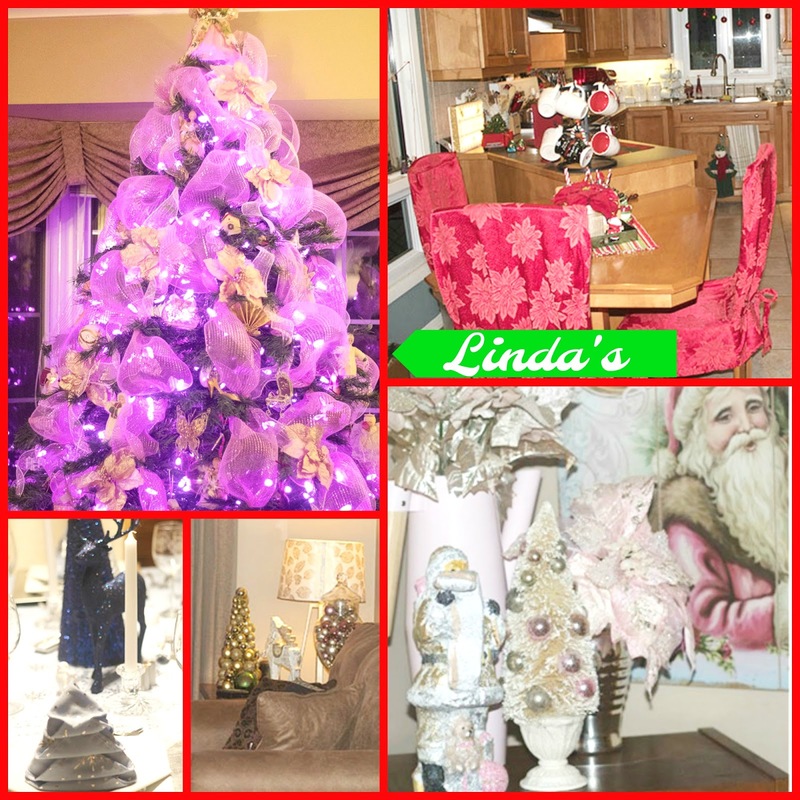 I love seeing my friend Linda's house each Christmas because she doesn't dissapoint and I was so right. Her purple tree covered in gorgeous purple mesh ribbon is so beautiful and elegant. I love all the silver and gold decor in little nooks and coffee tables around her home and as usual she does no wrong when it comes to doing a tablescape. But my favorite cozy place in her home is the kitchen right by that welcoming cocoa bar. Can I come in Linda?! Shelbee I love you girl because just like me you love adding ornaments to bowls and jars. That classy tree with the clear lights has the prettiest red checkered tree skirt and I love love love Shelbee's Nativity set. But my friend is smart, crafty and creative too. I love how she added the colorful lights to the mannequin wearing a little black dress. How cool! Perfect for a fashion blogger, Shel. My friend Whitney is spending her first Christmas at a place she shares with her boyfriend and it is such a cozy, inviting place too. I love the light reflections, the pretty and girly tree and of course the Noel sign by the tall bookcase. The pairing of silver and gold ornaments together was perfect because who doesn't love some tinsel and sparkle for Christmas?! But Whit I want to hang out and drink some red wine with you. We all wish you a happy and healthy Christmas Season! Happy Holidays everyone!! 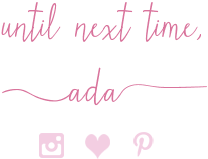 Now, join this week's special linkup.